Hello? Yes, I’m still here. Crawling out from a long bout with the flu, but finally back out in the world and cough-free, and just in time for All Hallow’s Eve. 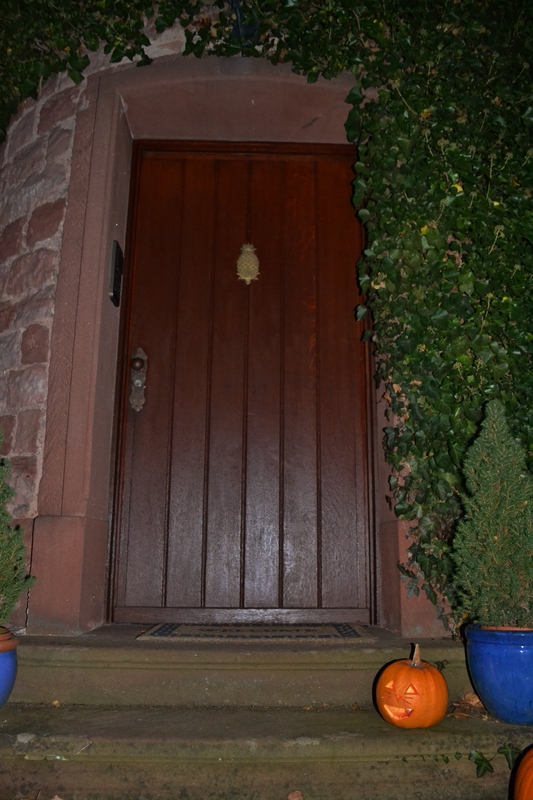 Our jack-o-lantern had only one trick or treater to greet. For, as it turns out, a different sort of Halloween. My daughter is outgrowing some of the high-jinks of the holiday, and our German neighbors don’t really trick or treat (in 2 years, we’ve had only one, very small, vampire-ish ghoul show up at our door), so the girls in the family had movie night in. The boys, however, went deep into the holiday. 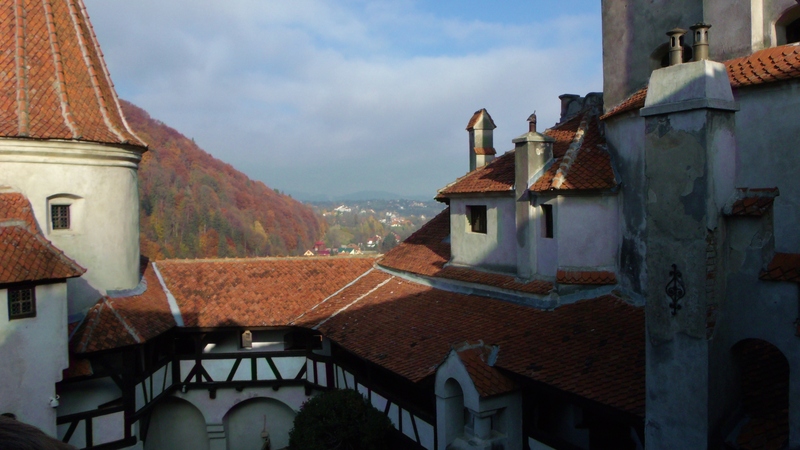 Looking out over the castle–Bran Castle. They took a road trip to Romania and Transylvania (a region of Romania). 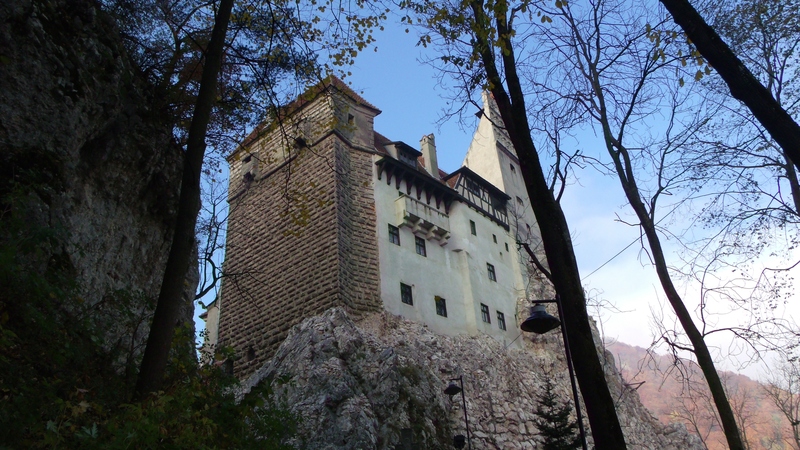 They visited Bran Castle, which has some associations with Vlad the Impaler and is widely thought to be the castle Bram Stoker based his descriptions on in Dracula. 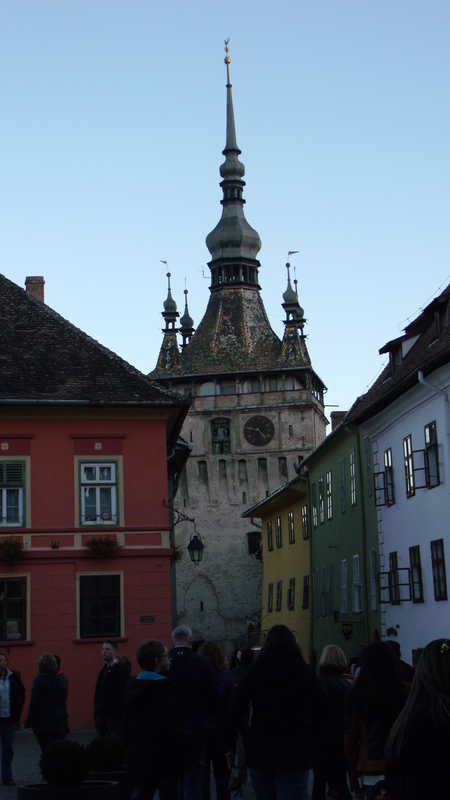 Myths of ghosts and vampires are rampant in Transylvania, but it has more to offer than that–natural beauty, old world charm, and churches that my husband said reminded him of old churches in Turkey (rustic and full of frescoes). That’s scant information, but you know how it is getting husbands and 12 year olds to talk about their trip–“cool”, “great”, and grunts and groans. But I can read between the lines–they saw terrifying things, too horrible to talk about . . . or, maybe, what happens in Transylvania just stays in Transylvania. Wow, that was an incredible boys trip, what a way to celebrate Hallowe’en, I’m jealous but with a husband and 12 year old I know details must be thin on the ground. Transylvania for Halloween? Now that’s a travel plan! It was a stroke of brilliance!